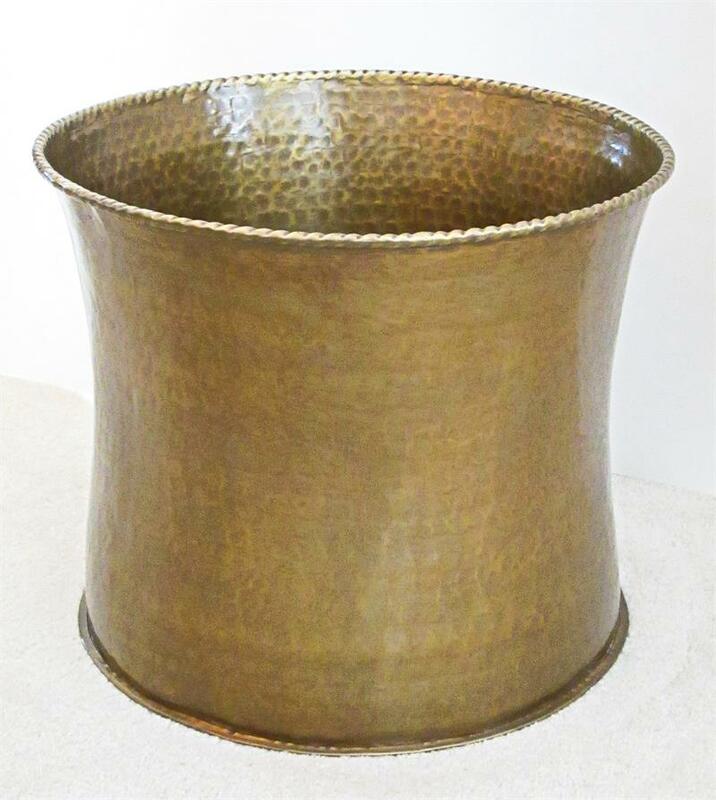 Solid brass planter with hammered antique finish lacquered to resist tarnishing. Height 12," Width 14.5" (measured across opening from outer edge to outer edge). Interior width at narrowest point 12." Rugged solid brass construction means this planter can be used outdoors too. When used outdoors the planter will gradually patina with exposure to the elements. Note: Finish patina and dimensions can vary slightly as this item is hand made.